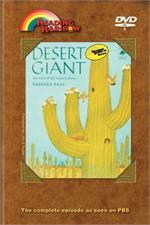 Theme: The desert is a magical place with more plants and animals than you may think. 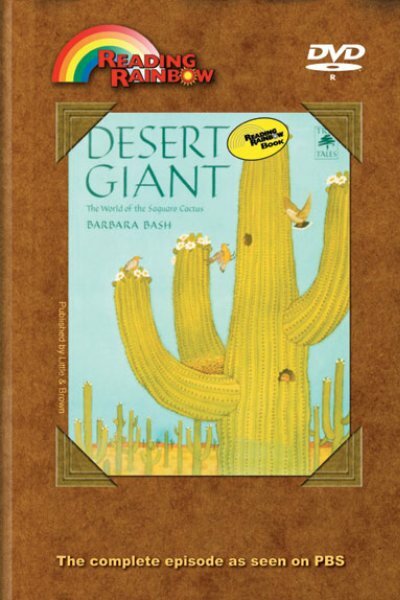 This is the story of the life cycle and ecosystem of the giant saguaro cactus and the animals it helps to support in the desert. LeVar explains the life and seasons of the desert. Inhabitants including jack rabbits, bobcats, gila monsters, a javelina pig and woodpeckers are a few that this segment features. He explores how cacti adapt to the heat and scarcity of water, and explains the appropriate dress for people in a hot, dry climate. A "snake man" gives a close-up look at rattlesnakes. A CD-ROM and Family Literacy Kit are also available for this episode. Discover Life in the Desert – LeVar introduces its inhabitants, including jackrabbits, bobcats, gila monsters, javelina pigs, and woodpeckers. Discover More About Cactus and Rattlesnakes – LeVar explores how cacti adapt to the heat and scarcity of water and explains the appropriate dress for people in a hot, dry climate. A “snake man” offers a close-up look at rattlesnakes. Seasons in the Desert – LeVar explains the life and seasons of the desert. Song Desert Seasons is about the changing seasons of the desert with a video montage. Book Reviews – Snakes Are Hunters by Patricia Lauber; Cactus by Cynthia Overbeck; A Living Desert by Guy J. Spencer. Use this episode to further enhance your science curriculum. Science Concepts: life cycle, ecosystem, adaptation, evaporation, germination, estimation, measurement. Click here for Theme Lesson Plan -- "Science Comes Alive"